With winter bearing down upon us as we speak, drivers all over Long Island are getting their vehicles ready for whatever the cold weather throws their way. Icy roads, strong winds, extreme temperatures, and reduced visibility are all very real hazards in winter, and if you didn’t take the time to properly prep your car you might find yourself in a potentially dangerous (and entirely avoidable) predicament. Making sure your car is ready for winter isn’t just about staying safe – it’s also about keeping your car in good shape, too. At Westbury Toyota we take your safety (and protecting your favorite Toyota) very seriously, so we’ve put together a quick list of recommended steps to take to get your vehicle ready for this year's harsh winter conditions. You’ve probably heard the argument that all-season tires are just as adequate in winter as snow tires are, but the fact of the matter is that this is simply not true if you live where the temperature dips well below freezing from time to time. As the staff over at Autoblog explains, all-season tires actually only provide you with about as much traction as you’d get from snow tires that are half worn. Additionally, the more your all-season tires get worn down, the less reliable they’re going to be in icy conditions. There are numerous reasons why snow tires are the best choice when prepping your car for winter, including the fact that snow tires have better tread patterns that are designed specifically to get you better traction on snow or ice. Not only that, but they’re also made out of a special kind of “soft” rubber that actually enhances the tire’s grip. The fact of the matter is that there’s really no argument when it comes to what tires will lead to the safest cold-weather driving, and that’s why we absolutely recommend that you consider where snow tires fit into your winter automotive preparations. The change in temperature outside when winter rolls around can impact your Toyota in different ways. Your car’s fluids will be directly affected, and that’s why it’s important to make sure they’re good to go. Before topping up on antifreeze, it’s not a bad idea to do a system flush, which can help you find any leaks. We also recommend that you get your oil changed and your brake and transmission fluid topped up before it gets cold, too. This minimizes your downtime in the winter and also ensures that your Toyota’s fluids and fluid systems are in working order and ready to go. Braking is super important when there’s snow and ice on the roads, so we suggest that you take this issue seriously and avoid taking risks where possible. Replace your pads, rotors, or calipers if they need it to make sure that you’ll have optimum braking power when the time comes to put these assets to good use. As any driver in Long Island knows, getting in and out of a vehicle on a snowy day leads to a mess on the floor. If you’d rather keep things easy to clean, consider investing in some all weather floor mats. They’re designed to catch snow/water/dirt, and it’s simple enough to pull them out of your car, rinse them off, and put them back in once they’re clean and dry. What’s more, they’ll protect your car’s floor from water and salt. Try to wash your vehicle whenever the temperature is above freezing. Also, try to do it during the day before freezing temperatures set in. Make sure to wash the underside of your car as best you can to prevent salt build-up. Don’t drive through puddles, as that’s where snow runoff will deposit road salt. Pay extra attention to your vehicle’s grille, rims, and tires while washing, because salt will accumulate most in those spots. If you can follow along with these straightforward tips and suggestions, there's no reason why driving on salted roads here in Westbury and across Long Island will ever have to turn into a major corrosion or rust problem. Sometimes we forget between seasons just how harsh winter can be, and then we get taken by surprise when the blizzard hits. Don’t be the driver caught unprepared in terrible weather. We here at Westbury Toyota want to help you prepare your car for the harsh weather months, so bring it in to us so we can make sure your fluids, brakes, and tires are up to par. 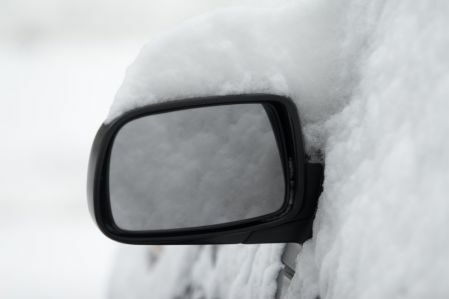 Winter in Long Island can be a drag, but if you take the time to make sure your vehicle’s prepared, driving in the snow doesn’t have to be so stressful.